This version of the trail-inspired model features a black, red and yellow upper with a mix of mesh, nylon and leather materials. Details include toggle-fasten rope laces, patterned ribbon accents, Nike branding tabs and embroidered mini Swooshes. A black midsole with a visible Air Max 270 heel bag in yellow completes the bold colorway. 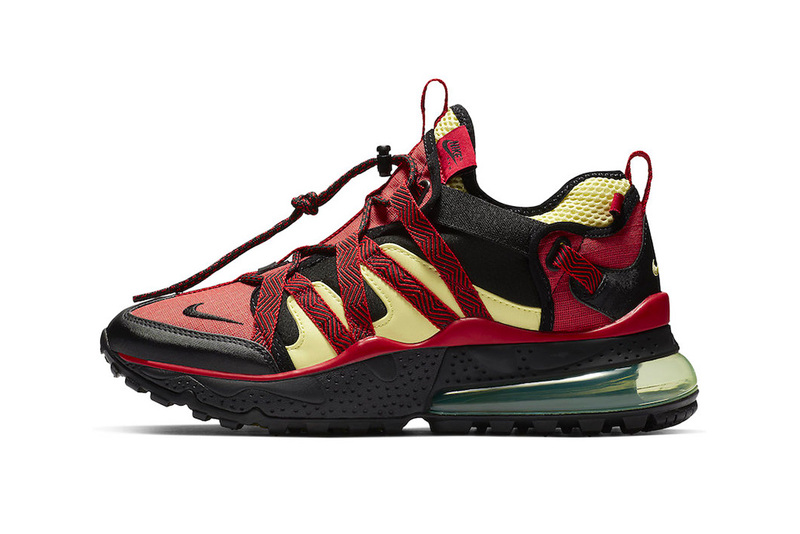 The Nike Air Max 270 Bowfin “University Red/Light Citron” colorway will release on October 11 for a price of $160 USD at Nike’s web store and select retailers. See the Parliament-Funkadelic legend in the new campaign. The fantasy drama series returns. Terry cloth details and graphic tongue patches. Lana Del Rey Sings a Preview of Her New Song "How to Disappear"